Best student poster - Sharada Paudel (Victoria University of Wellington) "Are there distinct phenological seasons in New Zealand plant communities"
Best student talk - Belinda Whyte (Lincoln University) "Changes in possum spatial ecology following density reduction: implications for conservation and bovine turberculosis management"
Runner-up best student talk - Christine Sheppard(University of Auckland) "Predicting weeds in a changing climate: are bioclimatic models validated by field trials?" Best student talk on an animal theme - Sarah Wells (Massey University) "Love thy neighbour: mating systems and cuckoldry in the tui"
Best student talk on a plant theme - Olivia Burge (University of Canterbury) "Restoring a RAMSAR wetland - by reforesting it?" Best student talk on a microbe theme - Paulina Giraldo-Perez (University of Auckland ) "The impact of the selfish gene on the ecology of yeast"
Best student talk on a conservation theme - Emily Weiser (University of Otago) "Population viability of highly inbred black robins"
Well done to all of the speakers - a great standard of talks. • Bastow Wilson, University of Otago – does ecology have any theories, and if so do they work? • Kerry Jayne Wilson – celebrating 50 years of ecology teaching at Lincoln with a look at her work on seabirds. It should be a great time! This blog post was written by postgraduate student Grace Leung as part of the course, Research Methods in Ecology (Ecol608). Grace is one of three students that revisits a Lincoln University research area on calculating the ecological impact of New Zealanders published in the late 1990s. Many people have heard of the concept of the ecological footprint. You might remember it being used as a way of measuring a household’s environmental impact on the popular television show “Wasted” a few years back. 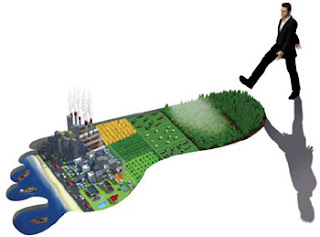 But what exactly is the ecological footprint and how is it calculated? Sound complicated? It is. The original study calculated an ecological footprint for Canada using many sources of data, research from several countries, spanning a long period of time. Because this project was so big, it is difficult to replicate for other countries and compare over time. Economists from Lincoln University in 1998, attempted to improve this method by modifying it to use sources of data that are reliably updated, then applied the model to the New Zealand economy. By using economic, demographic and land-use data from Statistics New Zealand and the Official New Zealand Yearbook, Lincoln economists Kathryn Bicknell, Richard Ball, Ross Cullen and Hugh Bigsby created a method of calculating a country’s ecological footprint by calculating standard input-output coefficients, multiplied by the land to value of output ratio for each industrial sector. So while Bicknell and her team’s method may not be less complicated than Wackernagel’s, their use of standardized national statistics means that it is relatively easy to monitor changes in our footprint over time. Since most developed countries record these statistics, it can also be used to compare our footprint with other countries. 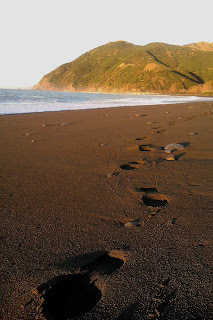 So how big is New Zealand's ecological footprint? When Bicknell and her team calculated it in 1998, our footprint was 3.49ha per person, This included 64% of our productive land being needed to support our current average level of consumption and waste production, plus imports. This accounts for the fact that we export a lot of what we produce and also import some of what we consume. Compared to the Netherlands, we have a slightly bigger ecological footprint, but smaller than that of the US or Canada. Although comprehensive, Bicknell does admit that there are some limitations to their method, such as not including the amount of marine resources needed to support our needs. With ever growing emphasis on sustainable development and living within the means of this planet, methods of calculating ecological footprints have continued to improve since this paper was published. In 2012, Wackernagel’s Global Footprint Network, with its improved methodology, calculated New Zealand’s footprint to be 4.31ha. Although this means we are still living within the means of our productive land, when projected to the global scale, this level of consumption will require 2.43 planets. You can even calculate your own household’s footprint on Wackernagel’s Global Footprint Network. See how you compare with the New Zealand average and the rest of the world. Go on, are you a Big Foot? This blog post was written by postgraduate student Stephanie Heinicke as part of the course, Research Methods in Ecology (Ecol608). Stephanie is one of three students that revisits a Lincoln University research area on calculating the ecological impact of New Zealanders published in the late 1990s. New Zealand markets itself as a clean and green country. In a study commissioned by the Ministry for the Environment, it was estimated that this image is worth hundreds of millions of dollars. This is how much New Zealand would lose if international consumers would start to think of this country and its products as not being clean and green. But how clean and green is New Zealand? And how can it be measured? An often used approach to assess the sustainability of consumption and production patterns of a country is the ecological footprint. This method calculates how much productive land area is needed to provide all the stuff a person consumes, like food, clothes, and housing as well as how much area is needed to generate energy and to absorb all the waste. This can be calculated for an individual, a community and also a country. When comparing these numbers with the land that is actually available, it gives an idea of how sustainable a lifestyle is. Calculating the ecological footprint on a national scale is quite challenging. An awful amount of data is needed to represent the different factors that make up the ecological footprint. But an indicator is only useful when it can be compared for different countries and through time. So in 1998 Kathryn Bicknell and her colleagues from Lincoln University came up with a method for calculating the ecological footprint from data that most developed countries routinely collect as part of their national accounts. Such data includes for instance how much each economic sector produces. This method uses a form of input-output analysis which basically considers how different aspects of an economy interact and the effects an economy has on the environment. Since its publication 14 years ago, this method was further developed to a standard suitable to calculate the ecological footprint for Australia and also to estimate the ecological footprint of international trade activities. Coming back to our initial question: how clean and green is New Zealand? Bicknell and her colleagues found that the ecological footprint of New Zealand is 3.49 ha per person. When exempting the land needed to produce export goods, New Zealand is one of the few developed countries that have enough land to cover its consumption requirements. This is not necessarily due to the fact that Kiwis are more sustainable in their consumption patterns but, rather a result of the low population density. This becomes clear when looking at the per capita land requirements. As this is a new methodology, it is not directly comparable to earlier numbers but it does resemble estimates from other developed countries. Bicknell and her colleagues concluded that the ecological footprint of New Zealand is noticeably smaller than the ones of the USA and Canada, but it is bigger than the one of the Netherlands. And it is far bigger compared with countries such as India. In the end, this reinforces earlier perceptions. Yes, New Zealand is cleaner than some other developed countries. But if everyone lived like a Kiwi, we would need more than three planets. That can hardly be called a sustainable lifestyle. This brings us back from the abstract level of countries to each individual. The lifestyle choices we make have direct effects on the environment. If you want to find out how big your own ecological footprint is, go to one of the online ecological footprint calculators – try this one! And maybe more importantly – find out how you can reduce it. Bicknell, K.B., Ball, R.J., Cullen, R. and Bigsby, H.R. 1998. 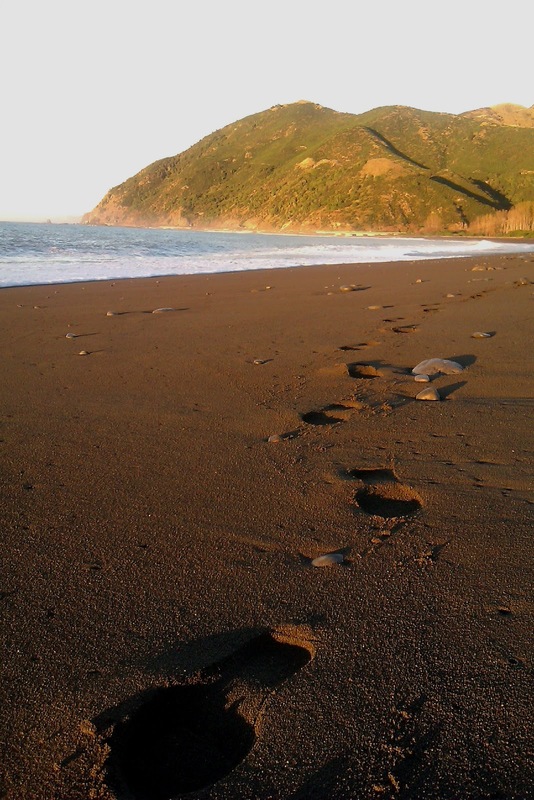 New methodology for the ecological footprint with an application to the New Zealand economy. Ecological Economics 27: 149-160.